Where can I find a guide to the original series? Both the Survivors: A World Away and Survivorstvseries web sites provide a wealth of material about all three series of Survivors, and offer links and guides to other Survivors sites and material on the web. In 2005, The End of the World? 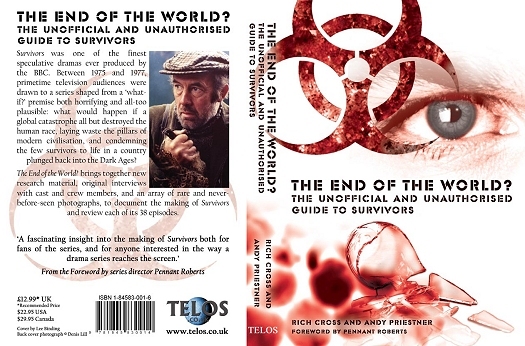 The Unofficial and Unauthorised Guide to Survivors (ISBN: 1845830016; ISBN-13: 978-1845830014) by Rich Cross and Andy Priestner was published by Telos publishing. The book provides a detailed guide to the making of all three series of the show; comprehensive episode summaries and reviews of all 38 episodes; as well as character and location guides. The End of the World? is illustrated throughout by a wealth of behind-the-scenes photographs by cast and crew, and includes a foreword by series director Pennant Roberts. After being reprinted twice, the title went out-of-print in early 2012. Plans to publish an updated edition of the book are currently on hold.